For in-store inquiries, use sku #2555428. 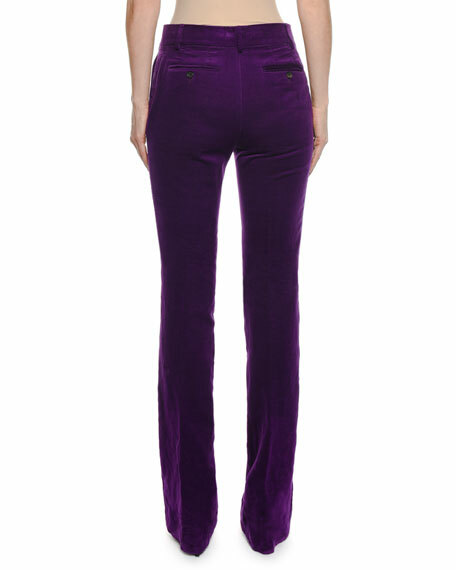 AG "The Prima" velvet pants. Mid-rise; belt loops. Five-pocket style. Fitted through straight legs. Cropped at ankles. Button/zip fly. Cotton/modal/polyester/spandex. Made in USA of imported material. 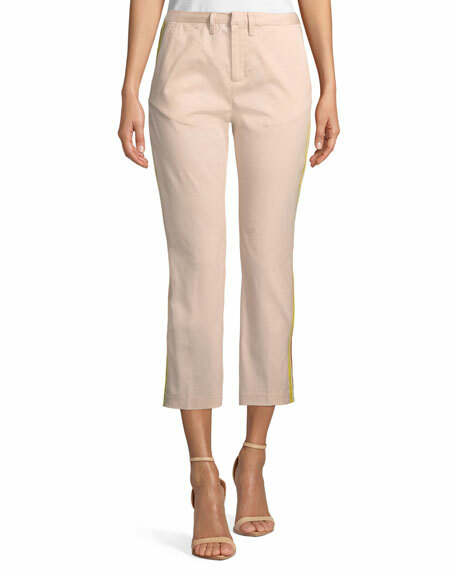 Chloe pants with contrast topstitching. Mid-rise; flat front. Side slip pockets; back welt pocket. Fitted through thighs. Flared legs. Front hem slit. Hook/zip front. Virgin wool/spandex. Lining, acetate/silk. Imported. 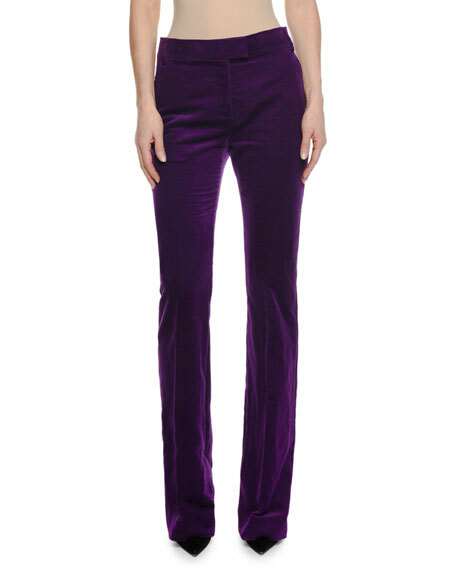 Isabel Marant "Nila" pants in stretch cotton-blend. Mid rise. Flat front Straight fit through legs. Slight cuff flare. Snap-tab/zip front. Cotton/viscose/spandex. Made in Poland. 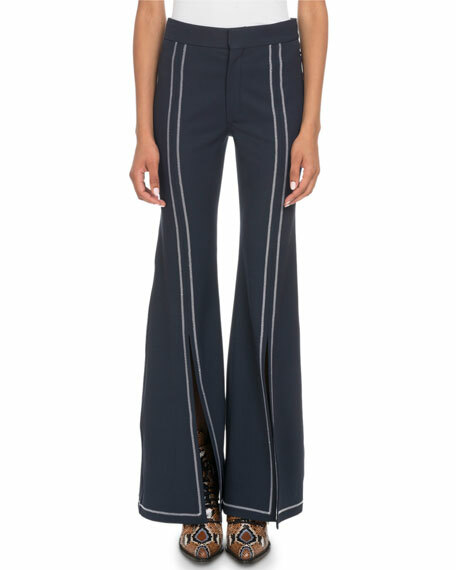 Le Superbe "St. Honore" pants with contrast racer stripes. Mid-rise; belt loops. Side slash pockets. Back detail besom pockets. Fitted through straight legs. Cropped above ankles. Hook/zip fly. Cotton/Lycra spandex. Cotton/polyester lining. Dry clean. Made in USA.